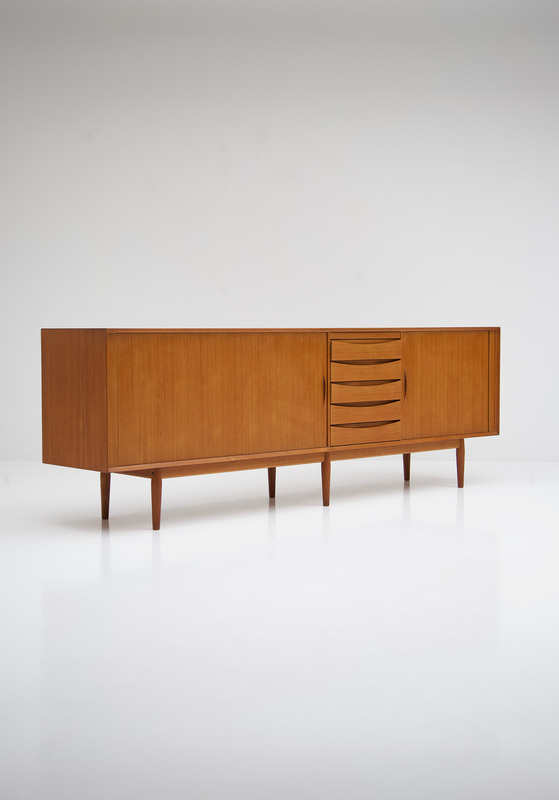 The Danish architect and designer Arne Vodder was recognized as one of the most important Danish architects of the 20th century . 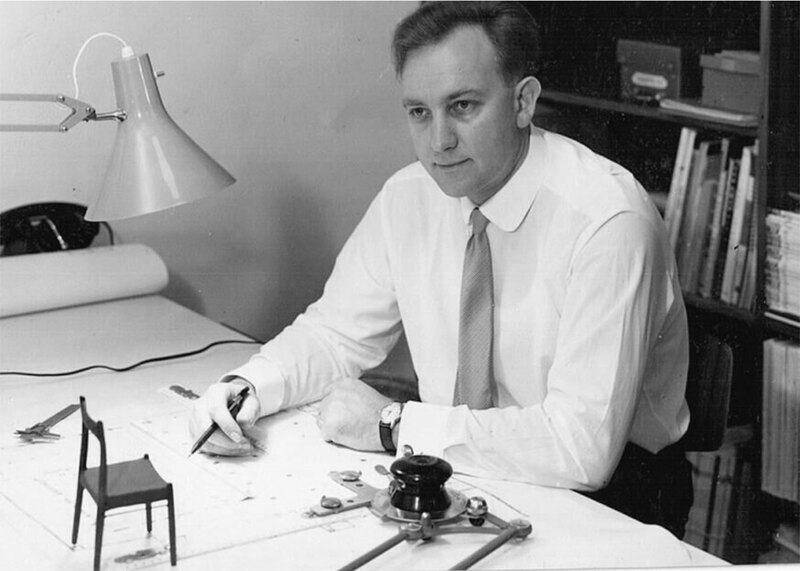 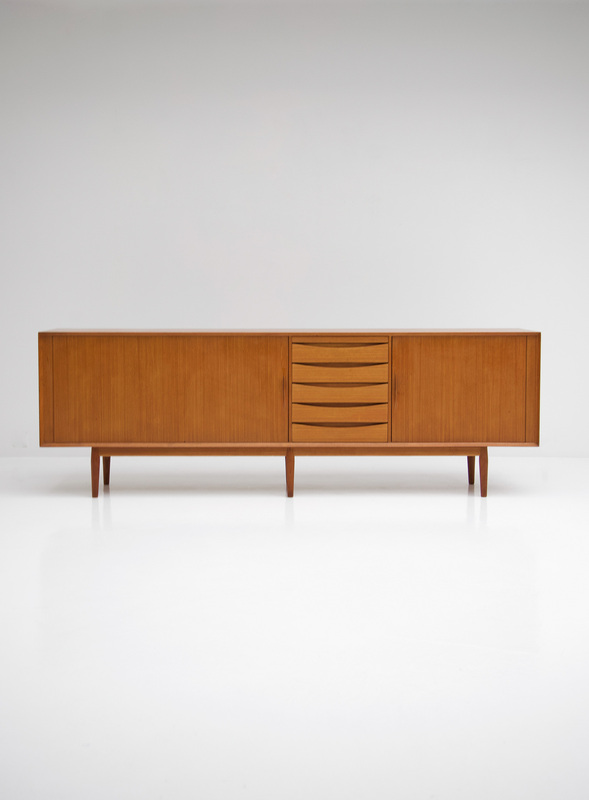 He was especially known for his sideboards, sofas and desks that had a special characteristic and organic design with no sharp edges and a timeless feel. 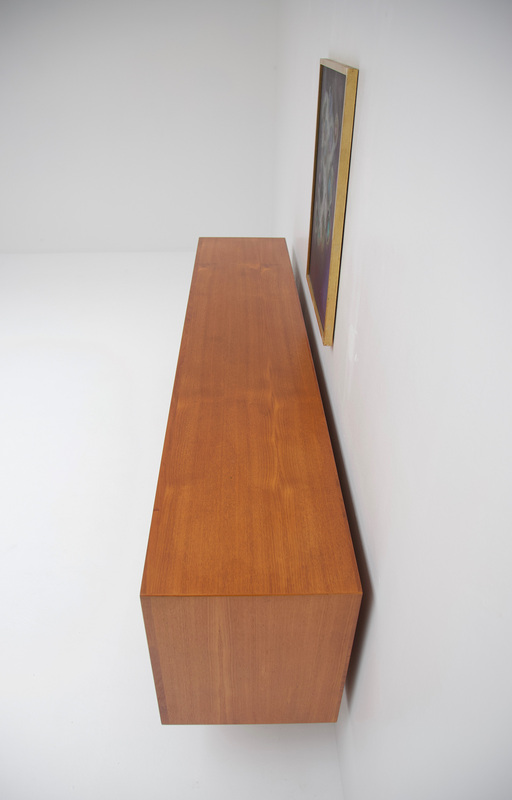 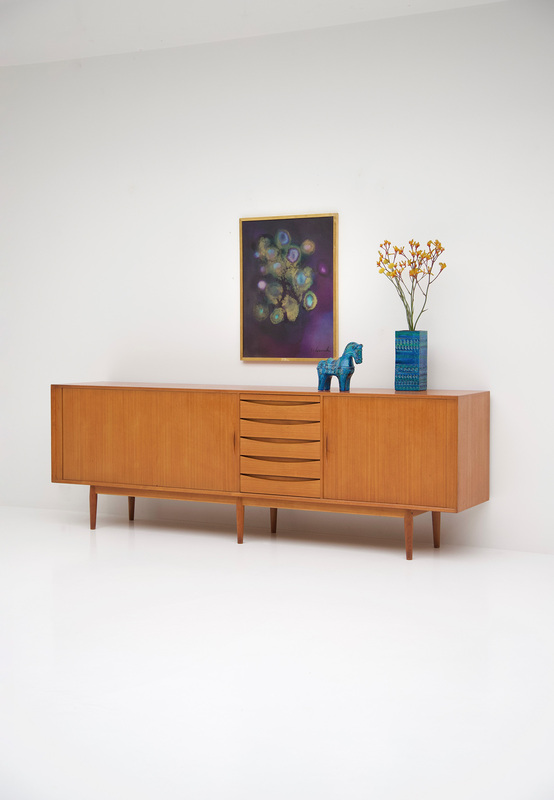 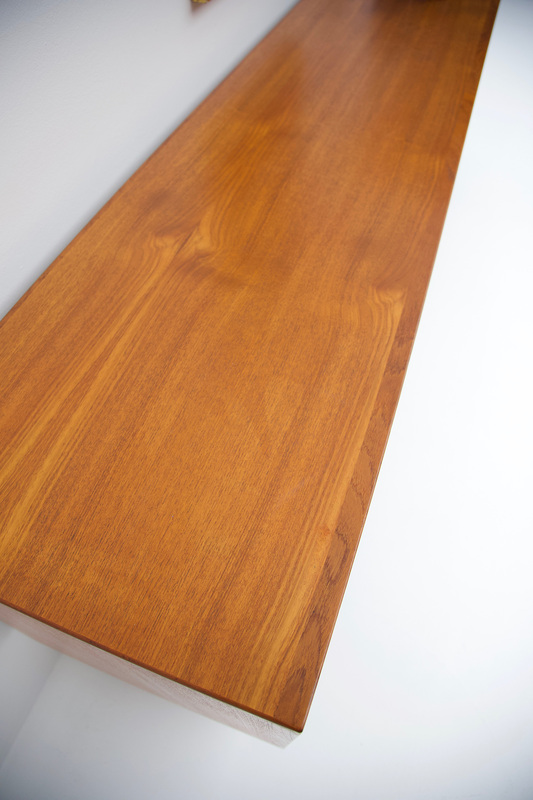 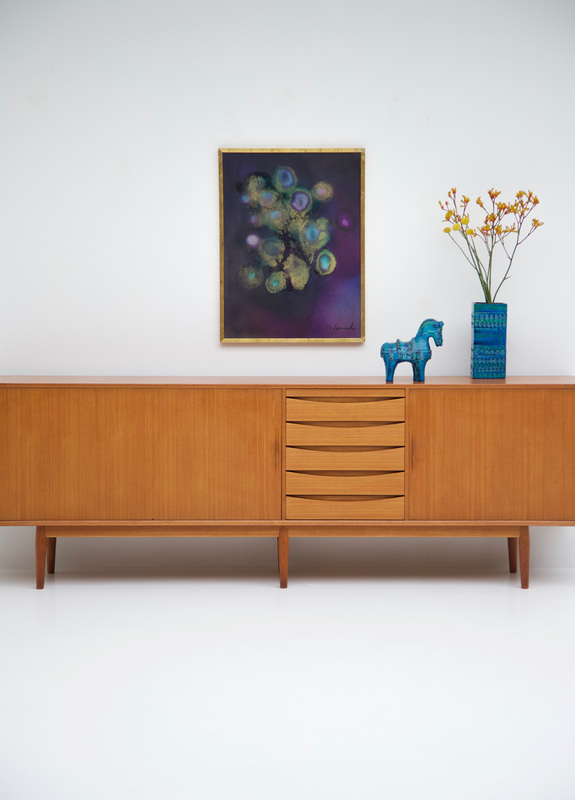 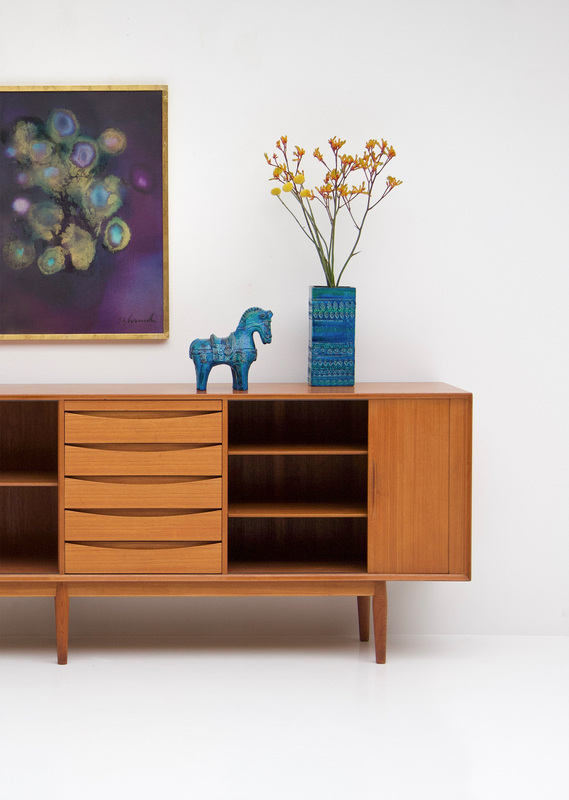 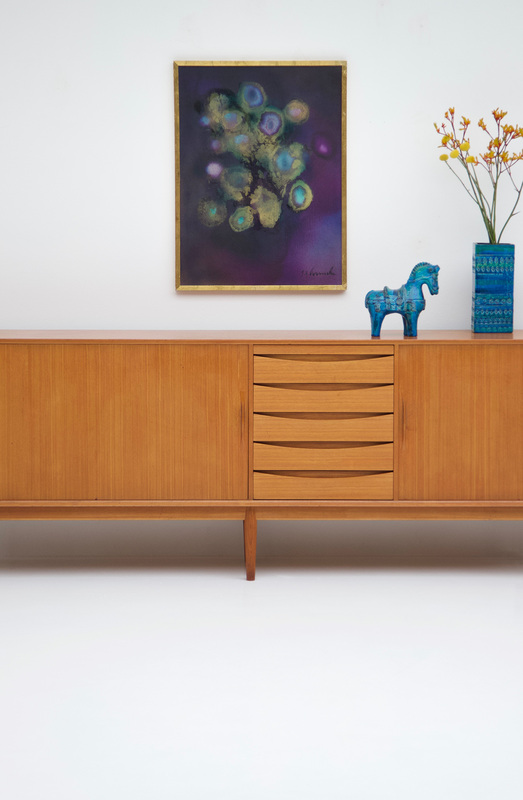 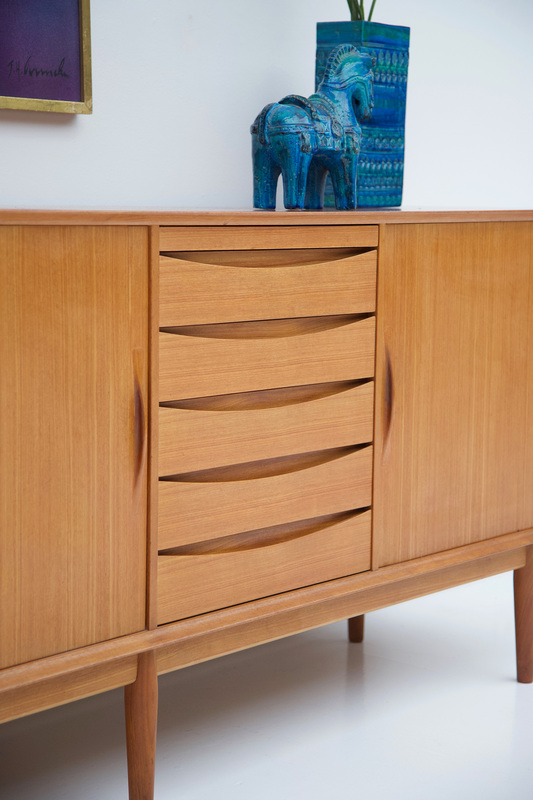 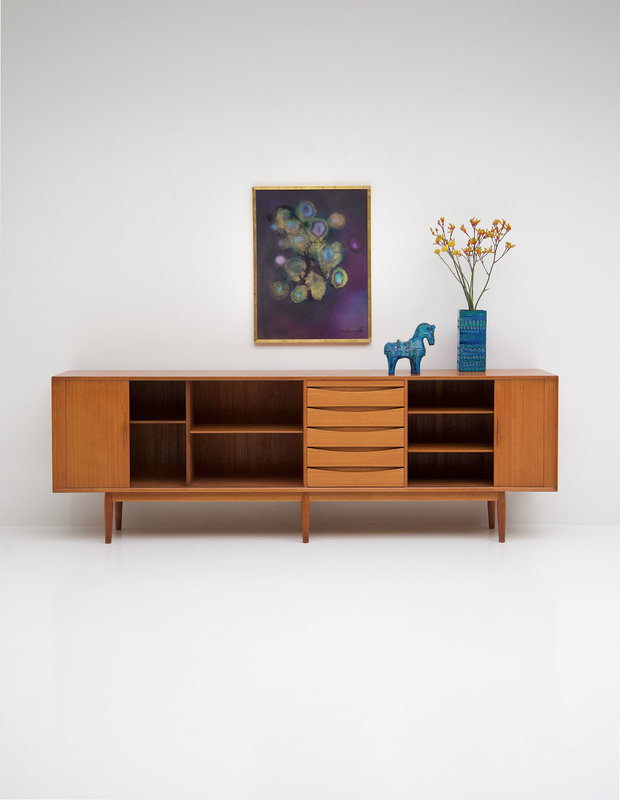 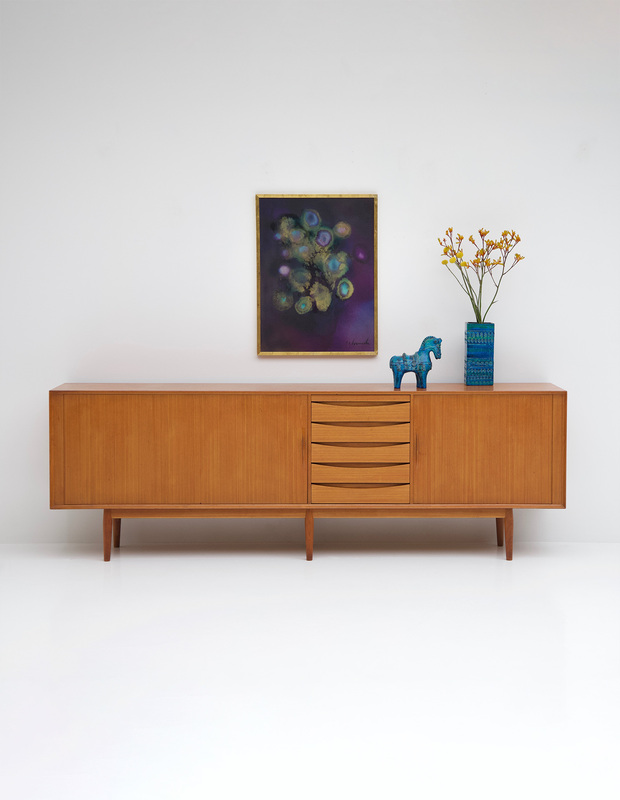 This large double sided sideboard was designed by Vodder in the 60s. 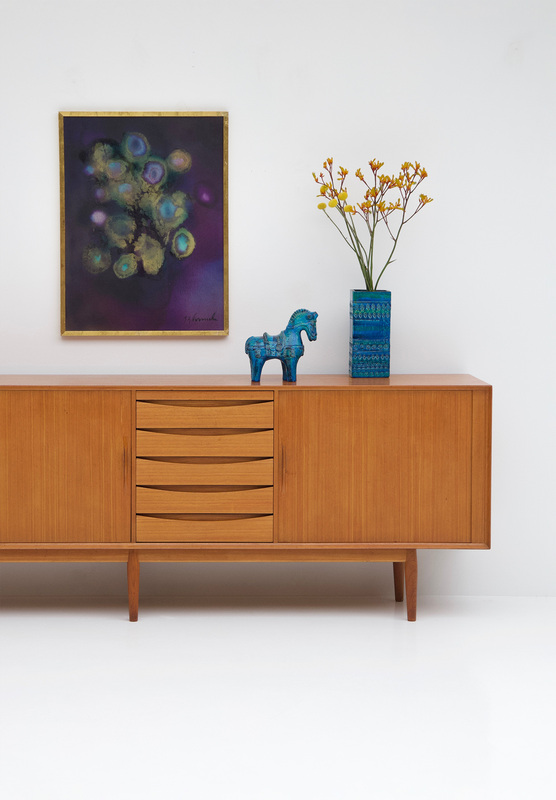 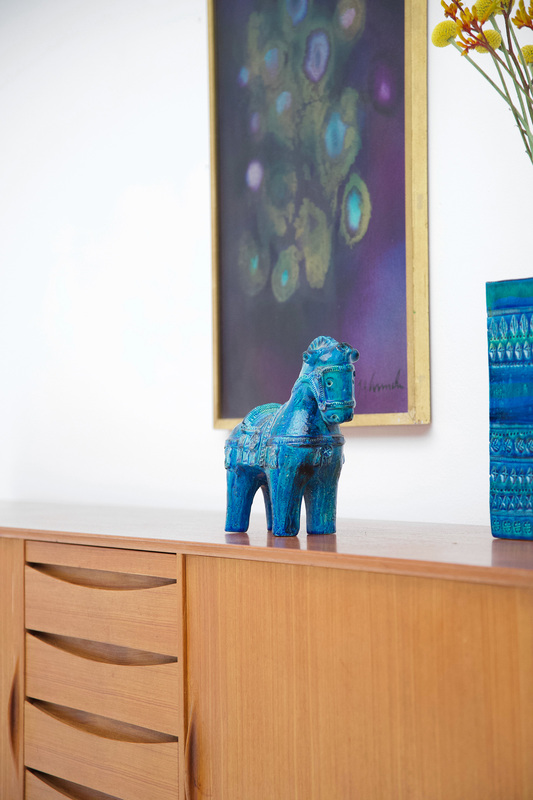 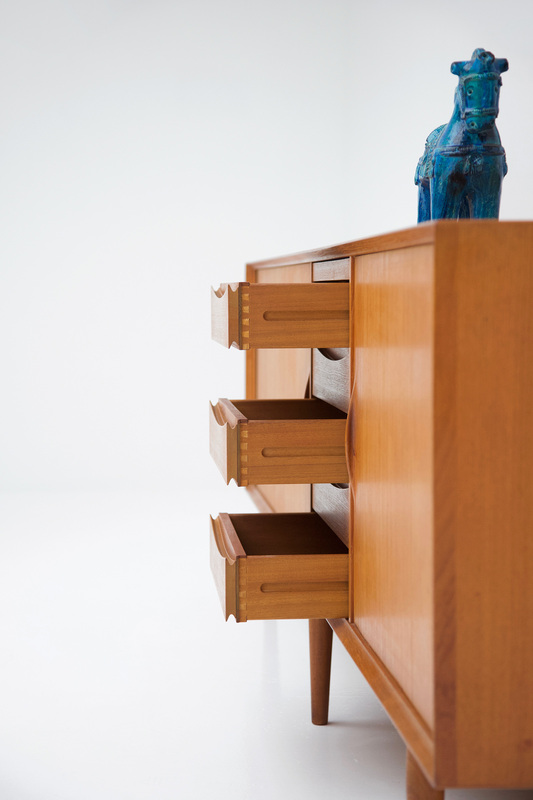 The sideboard is made out of teak and shows a nice, original patina. 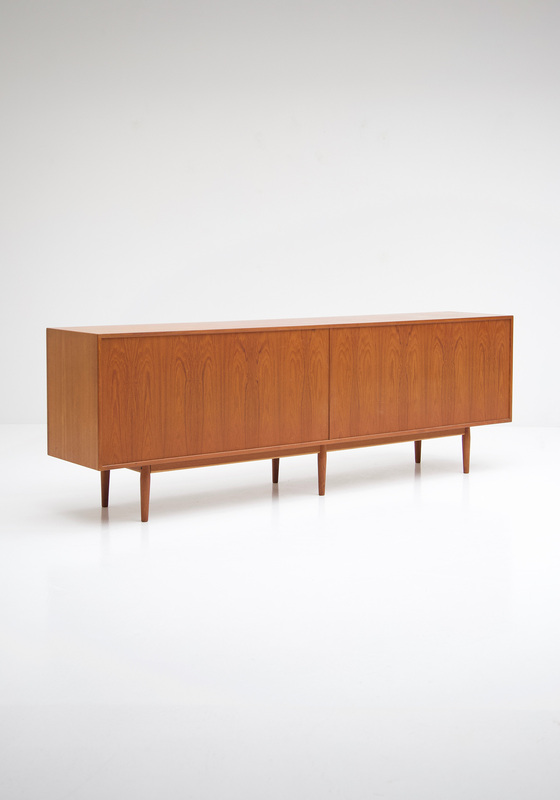 It contains 5 drawers with 2 sliding roll doors on each side. 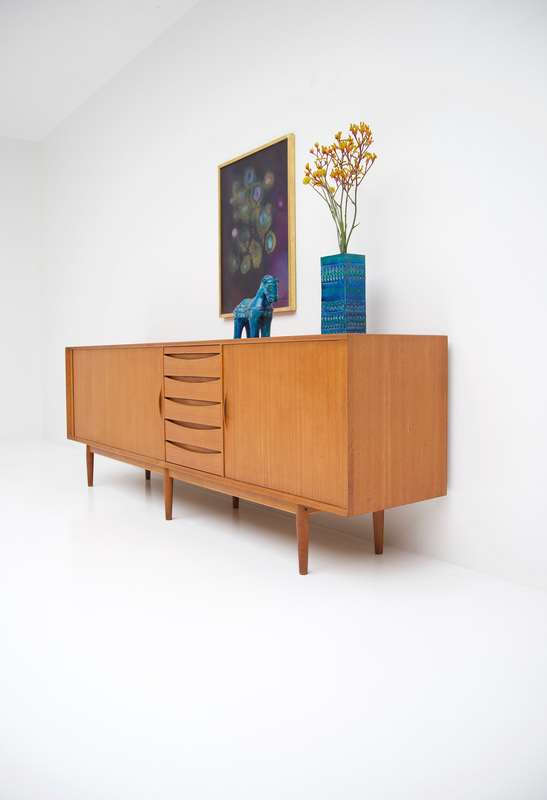 A really nice item in an all good original and clean condition.